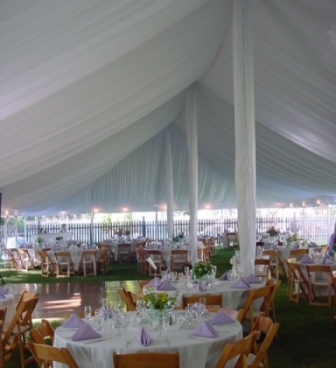 Comes with two white organza sashes for tying. 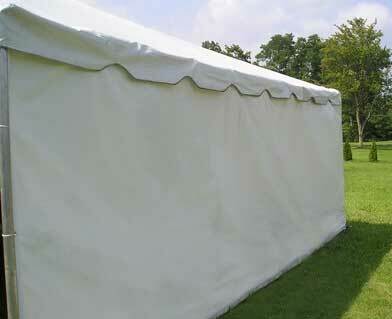 Comes with one white organza sash for tying. 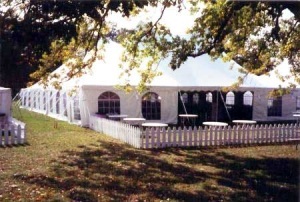 Stake and pole tent prices are for one rental period. 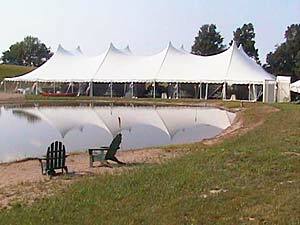 The rental period for tents 20' X 30' and smaller is one full day. 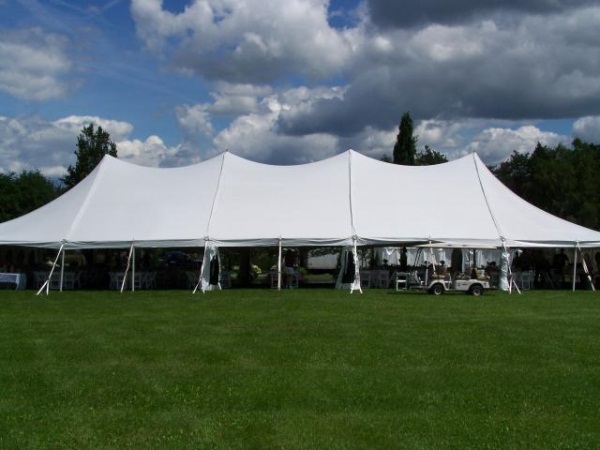 The rental period for tents 25' X 25' and larger is an entire weekend. 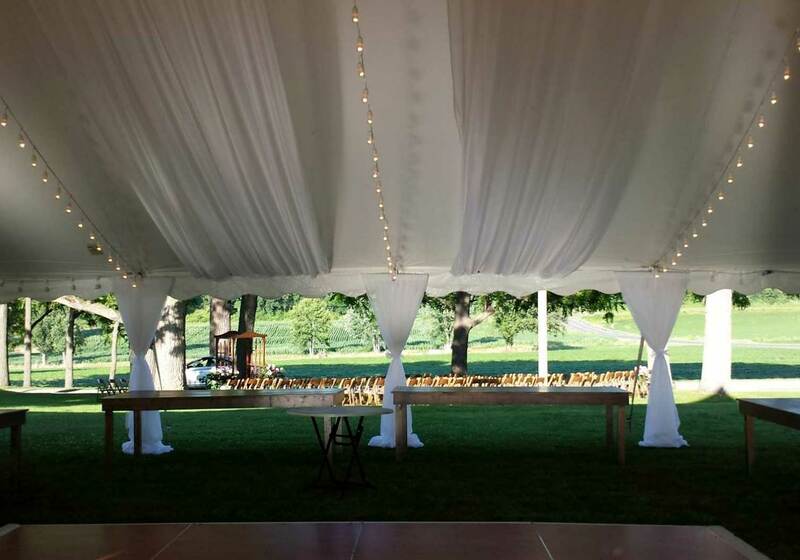 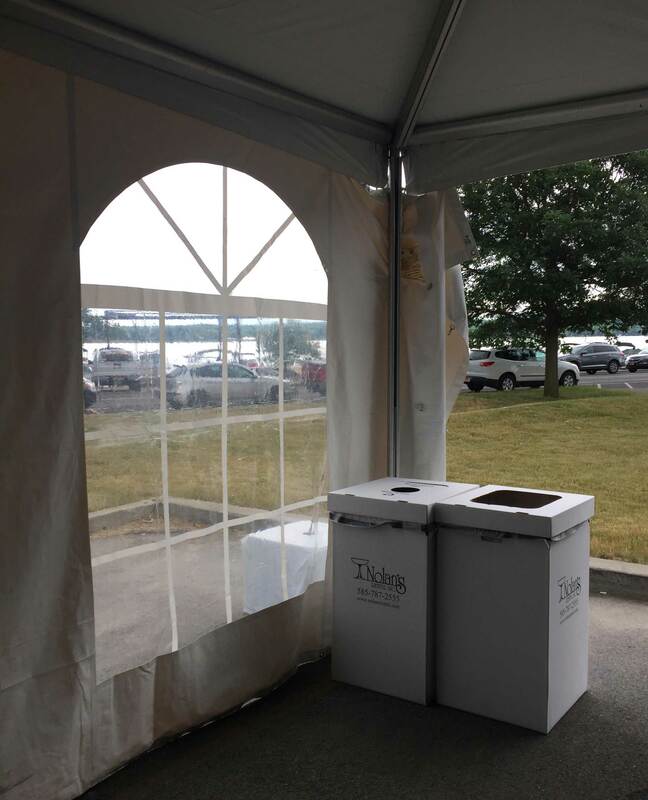 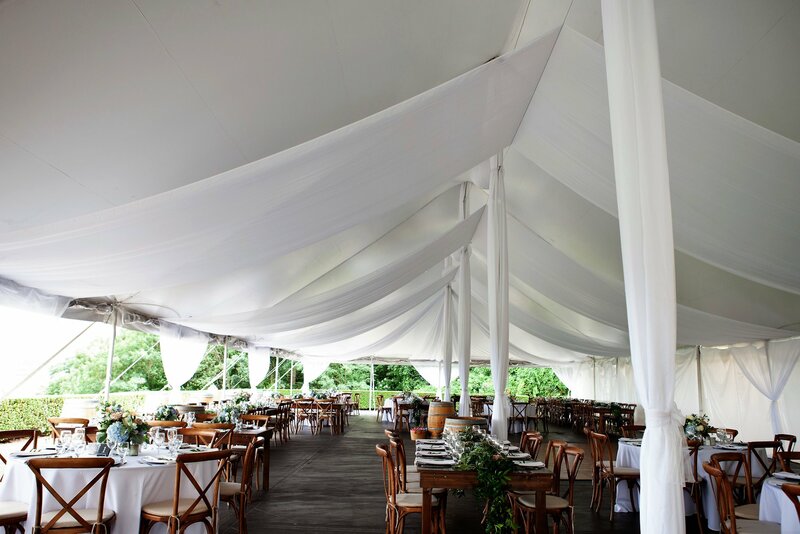 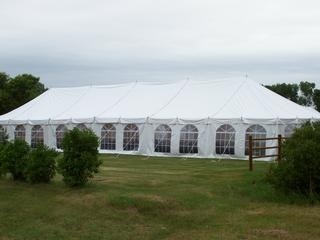 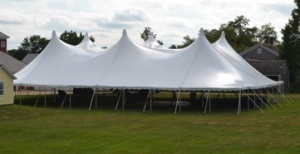 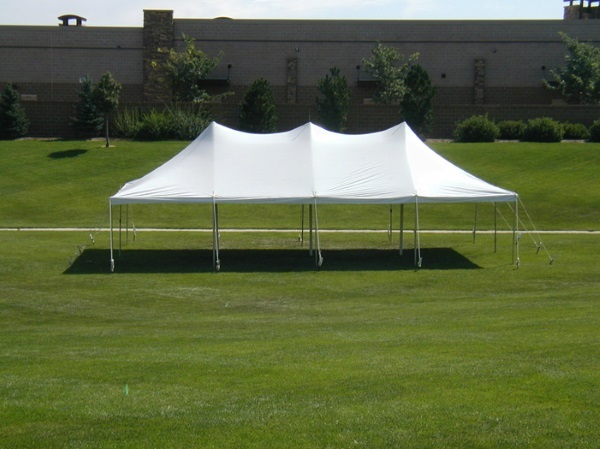 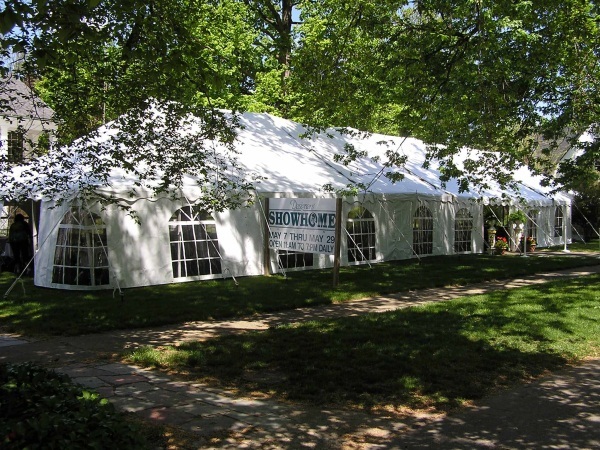 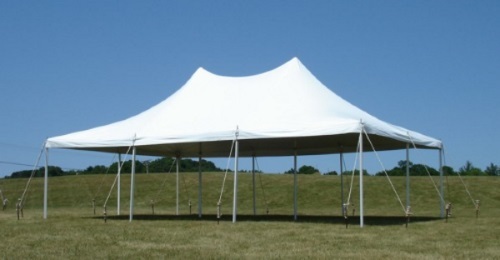 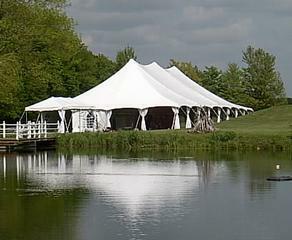 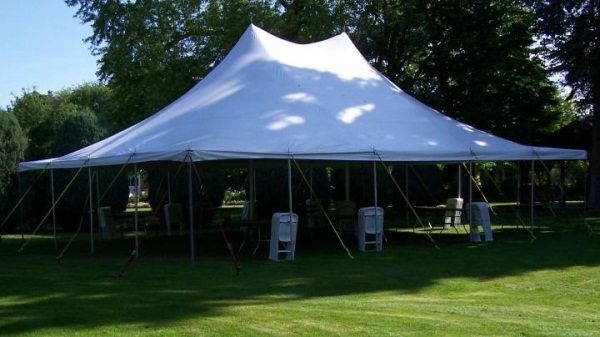 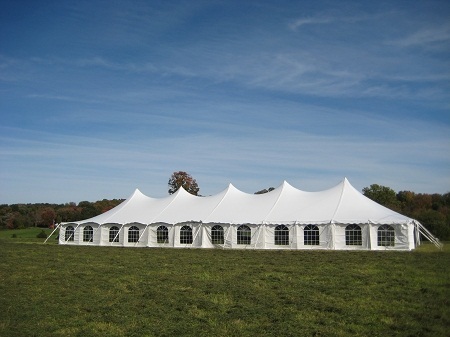 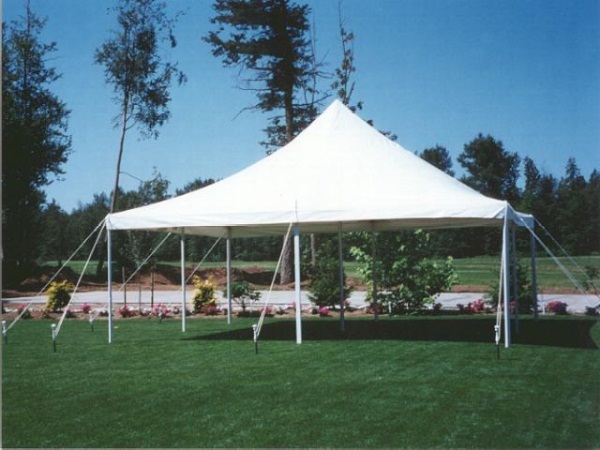 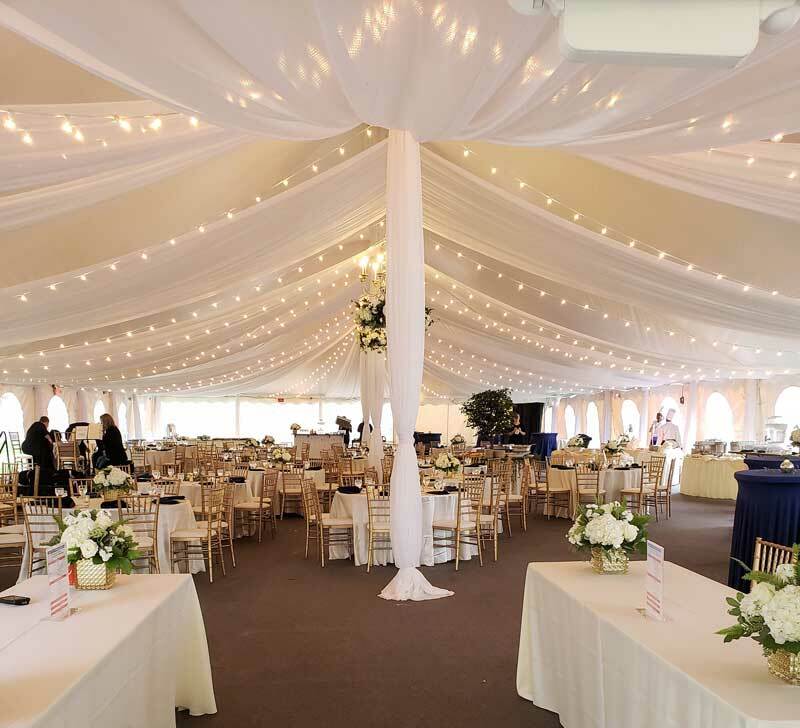 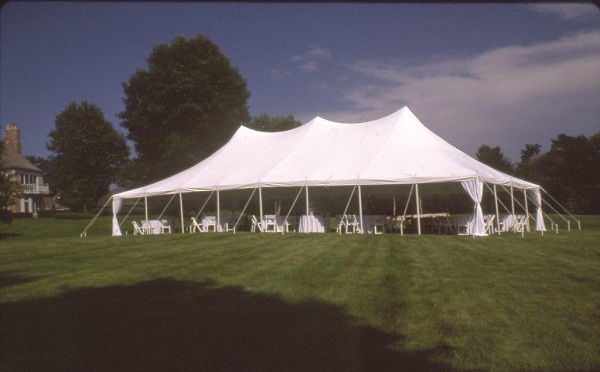 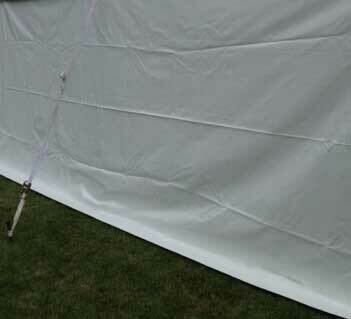 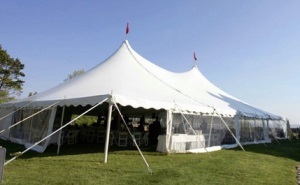 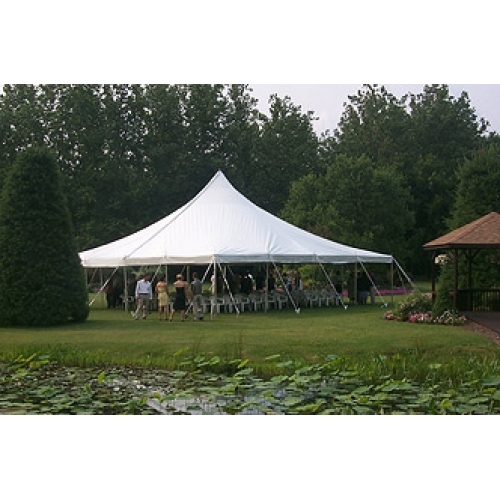 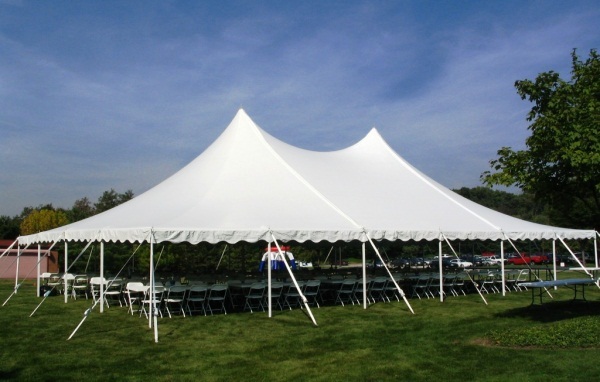 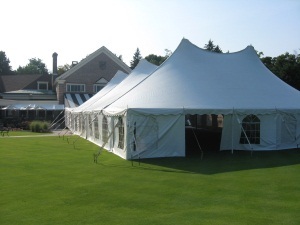 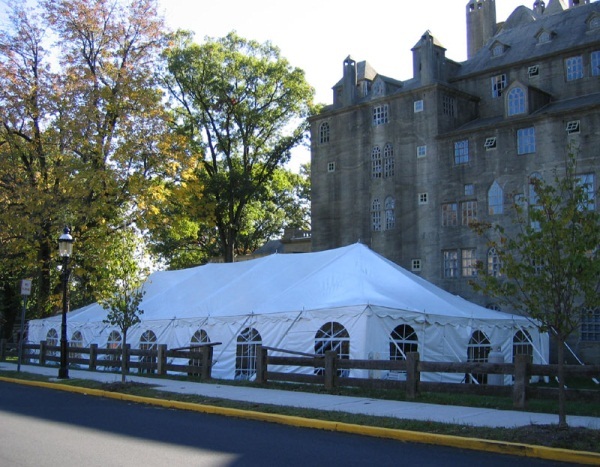 Stake and pole tents 20' X 30' and smaller are available for extended rental at an additional charge. 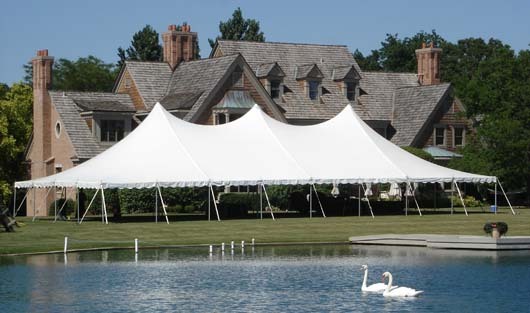 Weekly or long-term rentals quoted. 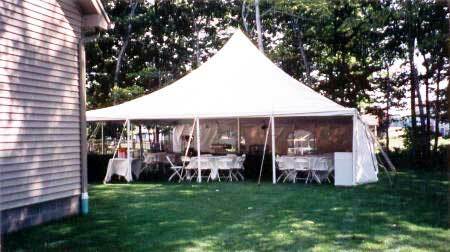 Prices per tent include set-up and take- down. 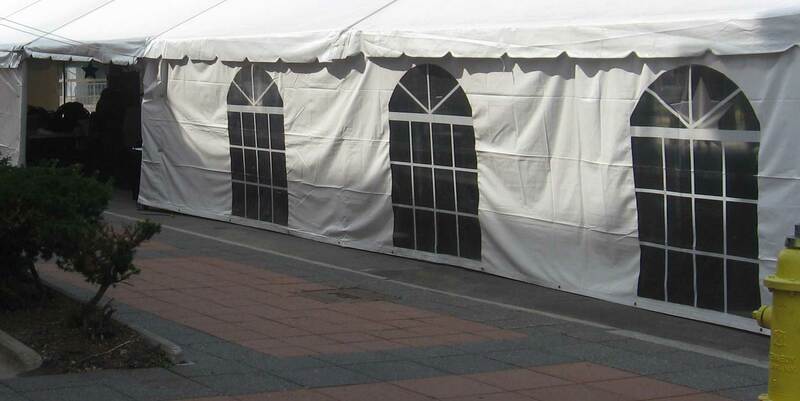 Some of our tents require 7'H walls and some require 8'H walls, inquire within if unsure.